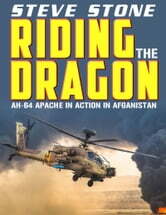 Flying at 120 knots with the unique roar from its aerodynamic rotors and twin turbines the AH64 Apache is the world&apos;s most fearsome attack helicopter its pilots refer to it as &apos;Riding the Dragon&apos;. The Taliban would more often than not flee rather than suffer its 30mm cannon, 2.75 rockets or Hellfire missiles. Some of the Apache systems are truly amazing such as being able to read a car number plate at 4.2Km away with its 127 times-magnification day TV camera. A thermal camera so powerful it can identify a human at 4km and spots of blood on the ground from 1km. You follow Peter Bowler from an Officer Cadet through training to becoming a fully-fledged Army Air Corps Apache pilot on the battlefields of Afghanistan. Flying a helicopter so complex it takes two pilots and is akin to riding a unicycle whilst playing an Xbox, watching TV and reading war and peace. Battling the heat as well as enemy fire in the &apos;Green Zone&apos; of Helmand Province. The fast paced action opens your eyes to the adrenalin rush, horror and terror of war from 2000 feet. What a great machine the Apache is, awsome to read out what it can do in action, would of liked a bit more on the actual aircraft in terms of history and facts. It is a bit it of a tear inducing ending though. I stopped reading this after a few chapters. The writing is shallow and inaccurate. Typos and grammatical errors galore. I wouldn't even enjoy this book if it was free. Avoid this book.